We wanted to try something different for Easter one year and was always curious about Turduckens, a chicken stuffed into a duck stuffed into a turkey. 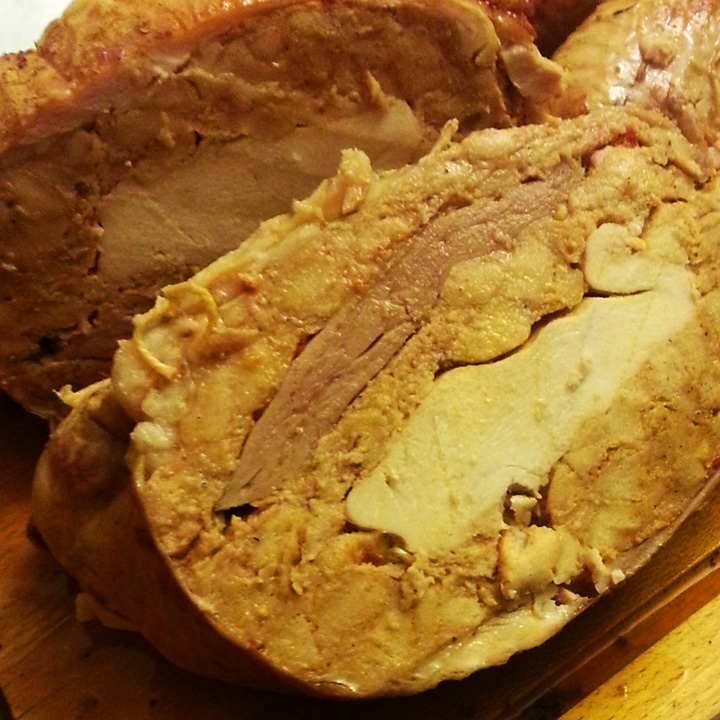 So when Costco offered The Original Turducken, we couldn’t resist the opportunity to try it. A quick email to Echelon Foods/The Original Turducken Inc. for their ingredients list resulted in a same-day reply. Thanks Mike! They are dairy-free, egg-free, soy-free and nut-free. We chose the Turducken with Italian sausage (pork) stuffing, which really kicked the taste up a notch. I would say it’s a definite must-try for turkey lovers.